Designed for artists, editors, and engineers, the 2nd Generation AMD Ryzen™ Threadripper processor unleashes the brute force of 32-cores and 64-threads of raw processing power so your creativity has no limits. Maximize system performance with true machine intelligence – AMD SenseMI learns and adapts to customize performance to you and your applications. Render, design, mix, edit, compose, model, and play through your most intimidating projects with the overwhelming power and unrestrained multi-tasking ability of the world’s most powerful desktop processor. Get the world’s most powerful desktop processor today from Scan! Render. Stream. Compile. Encode. Work or Play. Threadripper has the power to overwhelm your most daunting workloads. 2nd Gen Ryzen™ Threadripper™ processors will work on future-proof X399 motherboards with a simple BIOS update. This powerful, scalable platform offers unmatched I/O and expansion for serious multi-GPU and NVMe arrays. AMD SenseMI Technology A suite of self-aware features that analyzes your system’s environment and workload to help deliver the best results in every situation. “Zen” Core Architecture Improved energy efficiency and higher clock speeds compared to the previous generation enable the ultimate desktop platform. 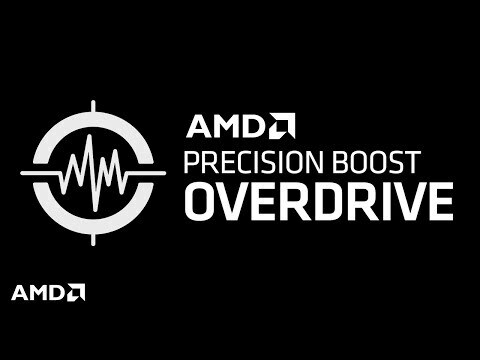 AMD Ryzen™ Master Utility Unlock ultimate control over your AMD Ryzen™ powered system for personalized overclocking and efficiency. Up to 32 cores provide an astonishing 64 threads of simultaneous multi-processing power and vast I/O from the enthusiast-grade AMD X399 chipset stand ready to feed the beast. With the most memory channels you can get on desktop, the Ryzen™ Threadripper™ processor can support Workstation Standard DDR4 ECC (Error Correcting Mode) Memory to keep you tight, tuned and perfectly in sync. Amp-Up Your DesignsStage dive into intricate 3D modeling projects and harness full suites of creative software to apply bewitching additions, adjustments and animations that invoke the fullest expression of every element inhabiting your creations. Tame the Most Taxing ProgramsComposite, edit, and fine tune media in quality suitable for the marquee. Handle every stage of your creative process, including VFX, modeling, editing, tracking and mastering, with a processor powerful enough to make the most resource intensive programs sing. 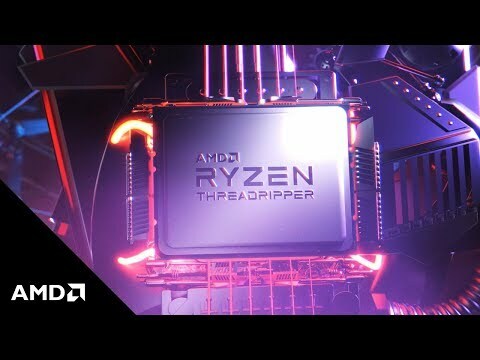 Render Scenes in Living DetailWhether it’s the dust particles caught on a breeze or acoustic modeling of an original studio recording, the 2nd Gen Ryzen™ Threadripper™ processor is capable of endowing your art with the authentic atmospheres that bring digital worlds to life and resonate with audiences. Game for Work, or Game for PlayExperience game levels as you develop them, test new content in real-time, or just game for the fun of it while your PC compiles and renders. Ryzen™ Threadripper™ processors are so powerful, you don’t need to stop producing while you play. © 2018 Advanced Micro Devices, Inc. All rights reserved. AMD, the AMD Arrow logo, Ryzen, Radeon, and combinations thereof, are trademarks of Advanced Micro Devices, Inc.
AMD's revolutionary Zen architecture marches on. 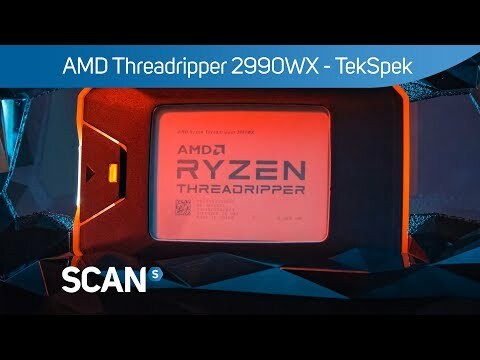 Building on the success of the awe-inspiring HEDT Threadripper processors launched in August 2017, the chip giant followed-up with 2nd Gen successors a year later and is today fleshing out its portfolio with two new additions. It is no secret that the many-core processor wars have started. The two heavyweights of our industry - AMD and Intel - are slugging it out with huge consumer chips packing more cores and threads than ever before, and we're only just getting started. 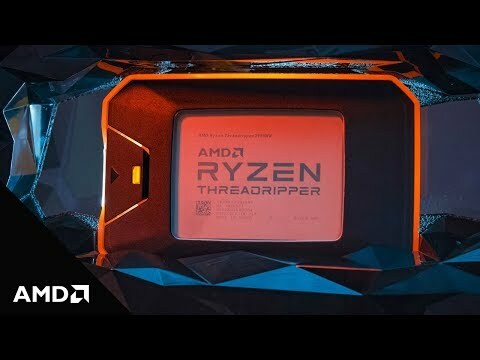 AMD Ryzen™ Threadripper 2990WX, TR4, Zen+, 32 Core, 64 Thread, 3.0GHz, 4.2GHz Turbo, 64MB Cache, 64 Lanes, 250W, CPU is rated 5.0 out of 5 by 1. Rated 5 out of 5 by SuperCreative from Ace for 3D rendering with Vray These are fast built one for 3D graphics using 3D Studio Max and Vray and its like these are built for this task as all the cores are used and they fly when rendering. 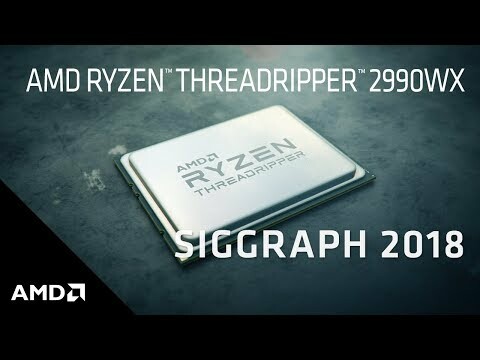 Not much point using them for gaming but for creating 3D graphics at the time of writing I think they must be the best CPU's for the cost going.